Pixel, a phone by Google is an eye-catching handset which is both stylish and ergonomic, featuring an iconic two-tone finish and function keys placed in natural positions. 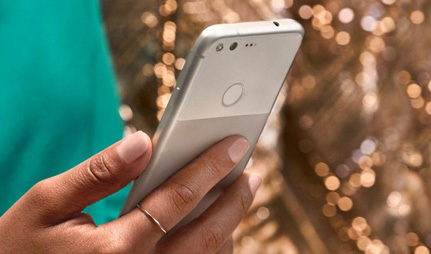 In particular, the Pixel Imprint button to the rear of the device gives you fast and simple access to apps, texts and emails via fingerprint technology. To the front of the device is an eye-catching 5 inch AMOLED full HD display, perfect for all your favourite movies, games and general web browsing. You can enjoy your media for even longer thanks to an all-day battery with quick charging capabilities, offering up to 7 hours of battery life from just a 15 minute charge - ideal for when you're in a hurry. 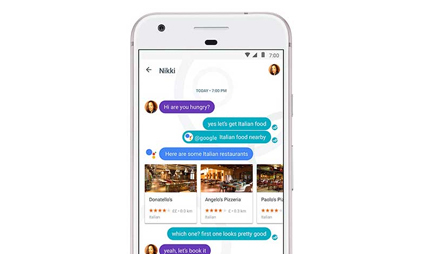 Pixel, by Goggle is the first phone to bring you the new Google Assistant. Harnessing the full power of the web, your new personal assistant is ready to assist with a range of tasks from plotting GPS routes, to locating the best place nearby to grab a bite to eat. Just use the words OK Google or hold the home button to start. Google Assistant is also on hand to help you both work and play. Never lose track of an appointment again with calendar entries and reminders, or request more specific information such as flight times, restaurant menus or shop opening hours. If you are in the mood for something more fun, why not ask Google Assistant to play your favourite YouTube video, a particular song, or find a funny meme. Pixel camera is the perfect way to enjoy fantastic photos at any time of day or night. This 12.3MP camera has an aperture of f/2.0 to allow more light into every snap, which means great results even in low light. You can also enjoy a blockbuster sheen on your home movies, thanks to 4K video which records at 4 times the resolution of blu-ray. To the front of the device is an 8MP selfie camera, which is also perfect for pin-sharp video calls on Google Duo, the new video calling app. 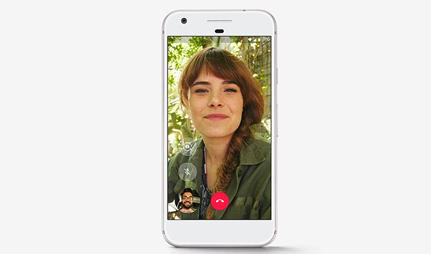 With the front camera offering full 1080p video, why not bring a personal touch to your next phone conversation with HD face-to-face interaction that as compatible over both Android and iOS. With unlimited storage from Google Pixel, you'll never run out of space to store all your favourite photos and videos in full resolution. This means your next holiday trip won't be spent deleting existing photos to free up more space, as you enjoy stress-free storage for all your special memories. 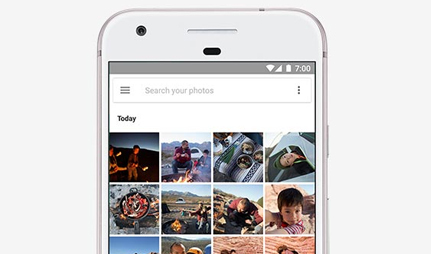 With a Google Photos account, you can upload all your stunning snaps and videos as often as your like, free-of-charge, for the lifetime of your handset. This promotion is only available for your Pixel, by Google, so make the most of limitless storage for all your stunning snaps and HD videos. Discover what the new Android Oreo has to offer, and which devices are compatible with the latest Android update. Android P is on the way, with new features announced and a beta version available to download now. Learn more right here..